There may be others things that are on your altar to start with, but this is my personal basics. We start with a foundation and grow from there. Now, when you look at this, it is not all bought by me. 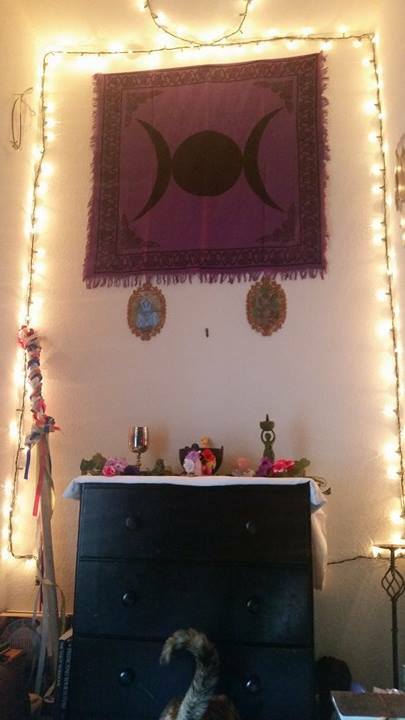 My altar comes together by what friends give me or made for me. It gives it purpose and meaning. This is a Yule altar that I made last year. I was born on the sabbat of Yule and feel that I have a strong affiliation with it. 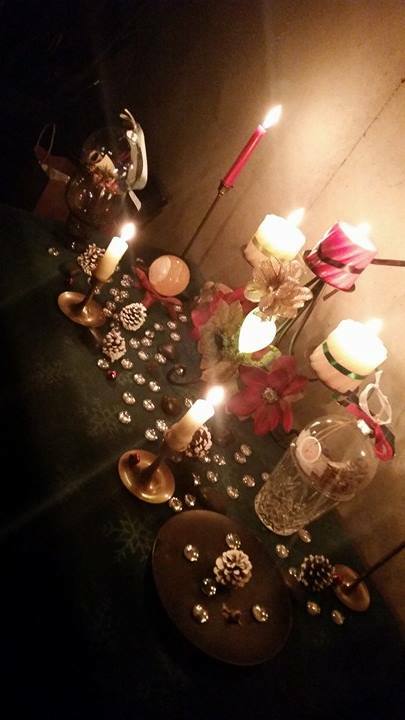 I have created two witches balls and wanted to celebrate the second year that I started to honor Yule with Circle of Fountains. Within the darkness, there is light. I prefer to work in odd numbers; that is why I chose seven candles . If you look closely you will see a green man mask with moss and poinsettia's. I put that on there with the snow covered pine cones to represent the new birth that grows. As we study about the divine and begin to feel connected with them, we start to make altars for them as well. How do we even start to have an altar for them? What do we put on them? These are the questions that go through our mind when wanting to honor the divine. Some people buy statues of the god or goddess. But, as you familiarize yourself with the divine, you start to realize that statues are just one aspect to honor them on an altar. 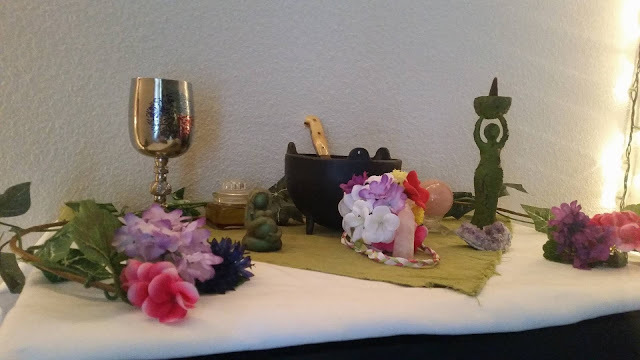 This is a Beltane altar by fellow Circle of Fountains member Phaedra. It is dedicated to the Mother Goddess Gaia. She has 2 statues that resent Gaia. She also puts flowers on this altar to symbolize the new birth that Gaia brings to this time of year. She goes beyond the focus of the statues of the Goddess and uses Gaia's strengths and values to represent her as well on the altar. That is one way for you to honor the divine. 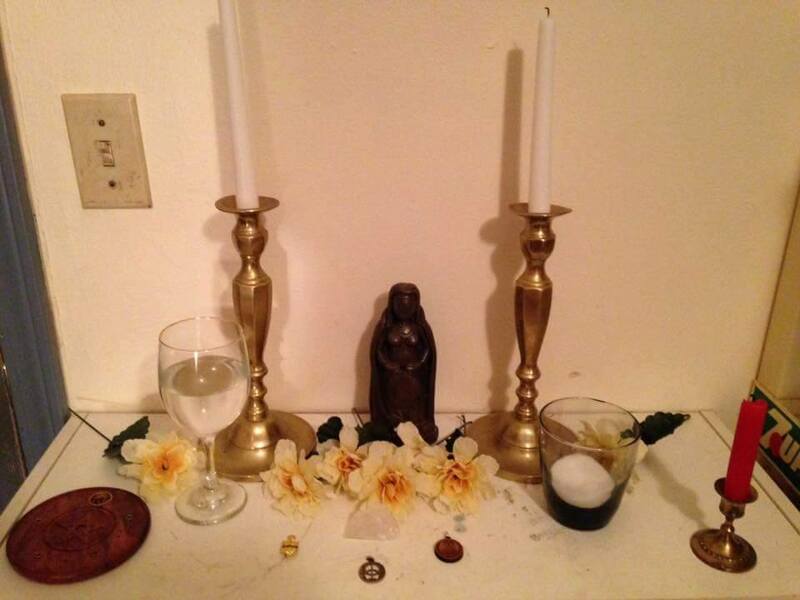 In this altar by CF member Abby, she honors not just the Mother Goddess but Rhiannon and Athena. The statue is the Mother Goddess. The silver is the vesica piscis which is on the chalice well cover in Gladstonbury for Rhiannon. The pin to the left is her Phi Theta Kappa pin and has Athena present on it. In this altar she brings all of the goddeses she follows together in one. She symbolizes the divine in ways that she believes honors them and adds things that are special to her (Phi Theta Kappa pin, chalice). As she said, "I want to show gratitude to everyone." 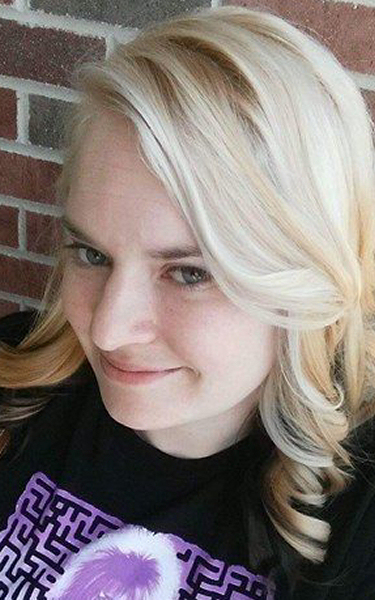 We have one person in CF that does not believe in the divine as she is a nontheistic witch. That does not mean she does not honor anyone with an altar. Instead of gods and goddesses, she chooses to honor her ancestors. Their spirits still walk among us and live within us as well. 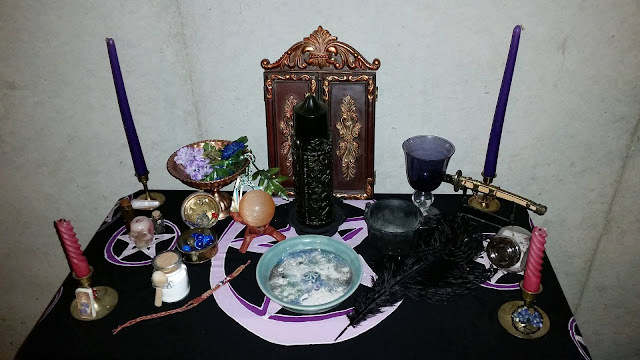 We can utilize an altar for them to lay home to, keep them safe, and have close connections with them. In this altar by CF member Marietta, she honors her family. Her family doesn't just include people related to her by blood but her pets (familiars) and friends as well. It is not just an altar in this picture. She creates a space by using the wall to help. In the altar, she puts trinkets that she could not hang that help her with honoring her ancestors. She hangs a pocket watch from her grandfather. These are ways that uses to help honor the memories and spirits of her ancestors. Here is a link to her articlethat she wrote on this altar if you would like to know more about this and see more pictures. 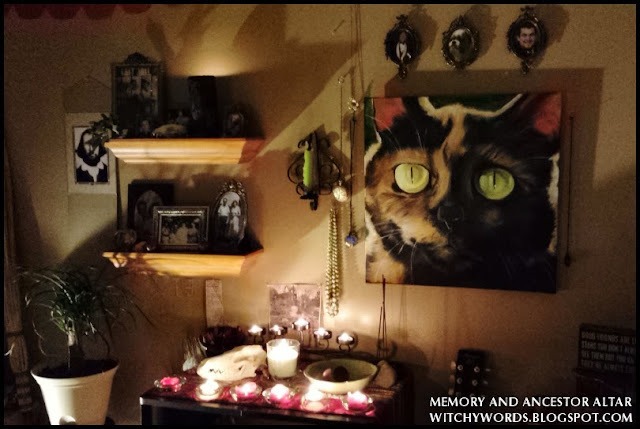 Before I close this article, I am going to touch base on an altar that a friend of mine made that has inspired me as well. We atone ourselves to an element. 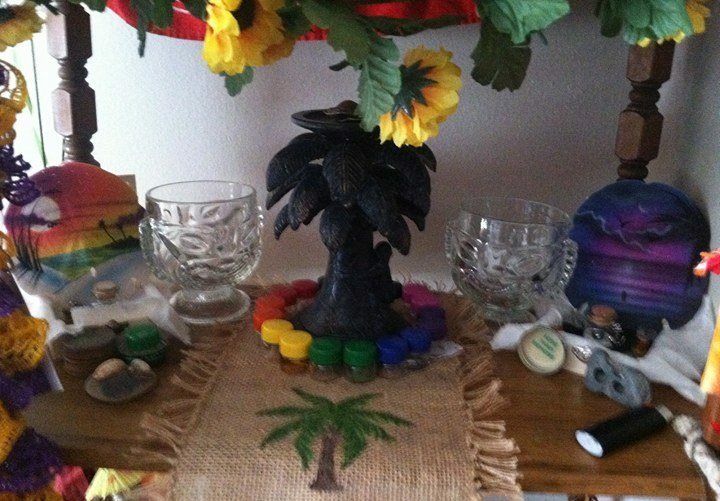 In this altar by my friend Karen, she uses the beach theme to celebrate water. She also shows how balance is brought by water as well through the sun dials. To the left is sun rise and bright, but to the right is night and dark. She is collecting sand from places to help symbolize the water. The rainbow glass containers around the palm tree are filled with water. I am in the process of making an air altar and I have collected some, but it is not completed yet. What we believe helps with the elements on the altar is making a list of what represents that element. We try and go with natural elements that hold power to help with the altar. I hope that this article was informative and helpful to you as you create your altars. If this raises more questions, I will be happy to answer them for you in the comments below. I hope that in this article you learn that there is no right or wrong way to make an altar. It is made by you and your views of the Divine, Ancestors, and Elements. Hello Laura! Thanks for the thoughtful words on altars. I've mentioned before that I'm new to all this, and I just recently set up my first altar ever for midsummer. I have a feeling I'll be referring back to this. Thanks again! I'll let Laura know about your comment. Thank you so much, Liz!